DBZ Guitars is proud to announce a guitar that will blow minds and turn heads: the Croc Skin Bolero. Straight from the mind of legendary guitar designer Dean Zelinsky, The Croc Skin Bolero combines DBZ’s legendary playability with looks so realistic Dean B. Zelinsky may soon be explaining himself to the U.S. Fish and Wildlife Service. There’s no pattern in nature more rock n’ roll than crocodile skin, and DBZ’s Croc Skin Bolero is the first guitar in the world to wear it proudly without harming any animals. While the Croc Skin Bolero’s curvaceous body looks like it has been covered in real reptile skin, the finish is actually a never-before-seen textured maple top, produced using proprietary DBZ technologies. Of course, the Croc Skin Bolero is more than just looks; it’s made to play. A thick cut maple top gives the Croc Skin Bolero a distinct, brighter personality, and the custom-voiced DBZ pickups have been painstakingly tailored to compliment its unique body while providing a ferocious tonal palette. A custom designed and engraved DBZ tailpiece made of lightweight alloys adds to the guitar’s already incredible sustain, while the slick mahogany neck gives players a fast stable platform to express themselves on. 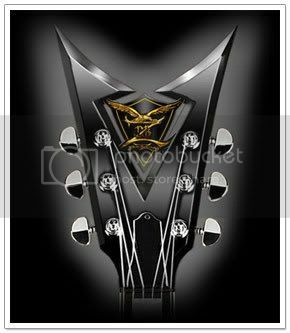 “DBZ Guitars is all about using technology to take our guitars to the next level. We have now harnessed that technology to realistically texture guitars and imitate the things we see in life. The Croc Skin Bolero does just that,” says CEO and founder of DBZ Guitars, Dean Zelinsky. Made in the USA, the Croc Skin Bolero features a solid mahogany body and a 3/4″ maple top with proprietary Croc Skin finish. It also includes a slick 22-fret set mahogany neck and an ebony fingerboard, custom DBZ private label humbucking pickups, a custom-designed lightweight DBZ stop tailpiece, graphite saddles and Sperzel tuners.